Land Rover LR3 2005, 2006, 2007, 2008, 2009, Full Interior Kit, 64 Pcs. Land Rover LR3 2005, 2006, 2007, 2008, 2009, Interior Dash Kit, Optional Door Speakers Surround Kit For LR3 Non-HSE, W/o Logo, 4 Pcs. Land Rover LR3 2005, 2006, 2007, 2008, 2009, Interior Dash Kit, Optional Door Speakers Surround Kit For LR3 Non-HSE, With "LR3" Logo, 12 Pcs. 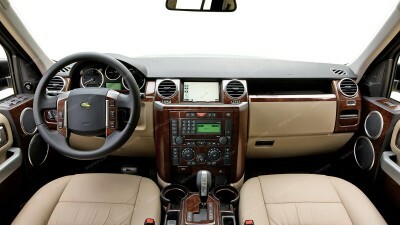 Land Rover LR3 2005, 2006, 2007, 2008, 2009, Interior Dash Kit, Optional Door Speakers Surround Kit For LR3 HSE Only, 4 Pcs. Land Rover LR3 2005, 2006, 2007, 2008, 2009, Basic Interior Kit, 40 Pcs. Land Rover LR3 (2005, 2006, 2007, 2008, 2009) / LR4 (2010, 2011, 2012, 2013, 2014, 2015, 2016, 2017), Exterior Kit, 8 Pcs. Land Rover LR3 2005, 2006, 2007, 2008, 2009/LR4 2010-up, Stainless Steel Pillar Posts, 6 Pcs. Land Rover LR3 2005, 2006, 2007, 2008, 2009/LR4 2010-up, Stainless Steel Pillar Posts, 4 Pcs. Land Rover LR3 2005, 2006, 2007, 2008, 2009, Exterior Kit, Optional Gas Lid Cover, With "LR3" Logo, 2 Pcs. Land Rover LR3 2005, 2006, 2007, 2008, 2009 / LR4 2010, 2011, 2012, 2013, 2014, 2015, 2016, 2017, Exterior Kit, Optional Gas Lid Cover, W/o "LR3" Logo, 1 Pcs. Land Rover LR3 2005, 2006, 2007, 2008, 2009, Exterior Kit, Optional Gas Lid Cover "LR3" Logo insert, 3 Pcs.